It’s time to propose, and you’re wondering where to buy. There are so many choices when you’re shopping at a jewelry store in Wellington! Will she love gold? Will she love silver? You can’t decide! While the engagement ring shopping extravaganza can be overwhelming and downright confusing, you can rest assured that at Designer’s Touch Jewelry, we’re here to make your experience a little easier. There are a few items that you’ll want to check off of your engagement ring checklist. A ring seems small, but it’s made up of vast complexities. For example, gold, rose gold or silver bands are all up for discussion, as are the different qualities of the metals. Then, what type of diamond will you choose? Your homework is to notice what jewelry she wears on a daily basis. Does she wear a lot of jewelry? Is it flashy jewelry? Does she wear a subtle necklace and a small bracelet? Does she perhaps not wear any accessories at all? If she hasn’t given you a hint as far as what to look for, then take a few clues from her attire. The more extravagant she is, the more extravagant the ring. If she’s very simple, then something small and petite will most likely do. Next, you’ll want to consider your price point. Fortunately, rings come in all makes and sizes, allowing for everyone to find a beautiful stone within their price range. Obviously, the smaller the carat size is, the less expensive the ring will be. Metals also differ in expensiveness, with platinum being priciest and gold coming just beneath. 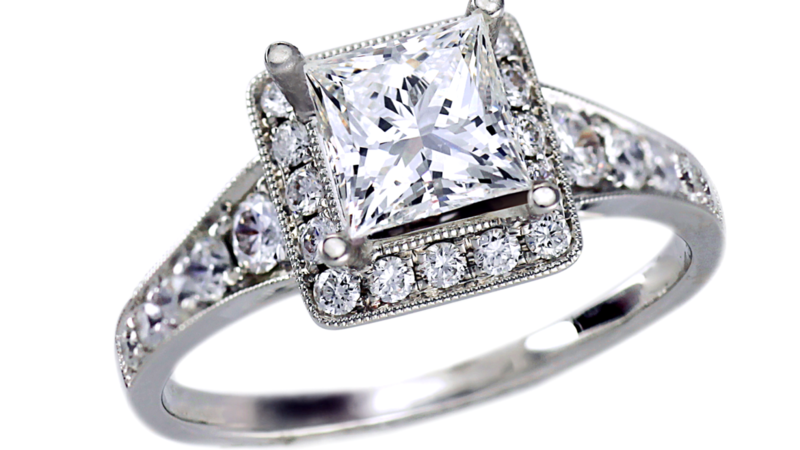 At Designer’s Touch Jewelry, we’re here to help you find a ring that will bind together your love for a lifetime. You’ll want something that will express your own tastes while complimenting hers. If you’re looking for a high-quality jewelry store in Wellington, then we encourage you to give us a call at 561-790-6220. We love what we do, and we love providing materials that will last. For multiple options, pieces handled with care, and excellent customer service, visit Designer’s Touch Jewelry today!